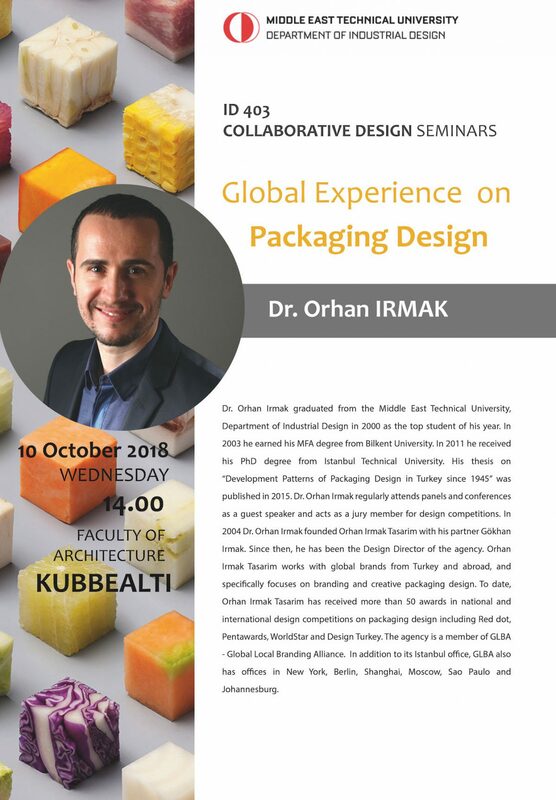 Dr. Orhan Irmak will be giving a seminar titled: “Global Experience in Packaging Design” as part of ID 403 Collaborative Design Seminars. The seminar will take place at Kubbealtı on October 10th Wednesday, 14:00. We would be happy to see all of you who are interested at the seminar.